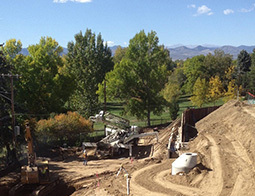 DIAMOND EXCAVATING - ONE OF COLORADO'S MOST TRUSTED AND SUCCESSFUL EXCAVATING COMPANIES. 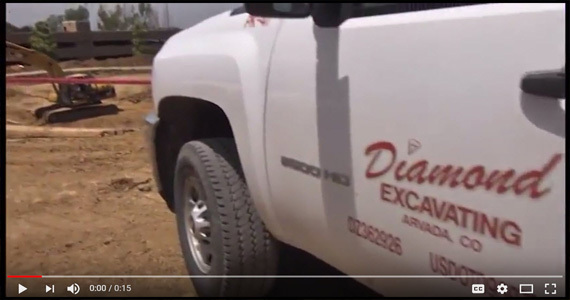 Diamond Excavating, Inc. was founded in 1978 on the promise to provide customer satisfaction for all projects, big and small. Since that time, we have grown to include a fleet of more than 120 pieces of equipment of various types and sizes enabling Diamond to handle jobs of all sizes. Diamond Excavating's trucking division adheres to the Federal Motor Carriers Regulations and is licensed for both inter- and intrastate work. Our team is professional, knowledgeable, and experienced. Diamond Excavating, Inc. is among an elite group of businesses to be Cost Containment Certified by the State of Colorado. 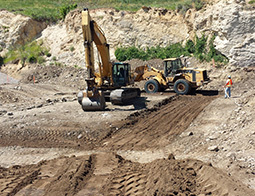 Diamond Excavating was voted Subcontractor of the Year by the American Subcontractors Association of Colorado in 2009, 2010, 2013 and 2015, as well as Subcontractor of the Year finalist for the years 2011, 2012, 2016 and 2017. In 2014 and 2016, Diamond Excavating received the ASA Members' Choice Award for distinguished members of their organization. Our company was awarded the 2016 Best Of Granby Award in the Excavation Contractors category by the Granby Award Program. Diamond Excavating is a member of the Colorado Safety Association, the American General Contractors Association, the Colorado Contractors Association, the American Subcontractors Association, and the Colorado Motor Carriers Association. 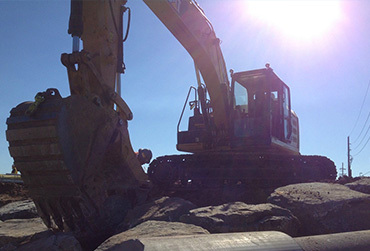 Diamond Excavating is committed to safety of employees and projects on all levels. Monthly safety meetings are held at the Diamond office facility, while each site follows through with safety inspections each morning and completes a job hazard analysis. Employees are "Competent Person" trained to meet the OSHA 1926 Construction Standard for trenching and excavation. Diamond Excavating received the 2018 Employer Safety Award from the Colorado Department of Labor and Employment’s Workers’ Compensation Safety and Cost Containment Divisions. Our company was also recongnized with the Excellence in Safety Award from the American Subcontractors Association in 2009, 2010, 2013 and 2017. In 2016, two of our personnel received individual Excellence in Safety Awards for their supervision in the field. We encourage you to invest time getting to know Diamond Excavating and we look forward to working with you. Including residential and commercial excavation, trenching, sub grade prep, soils stabilization, back fill, soil compaction, grading and consulting. On-site project managers work closely with construction teams to assure cost efficient, high quality solutions. Expert at meeting special situation requirements and large projects. 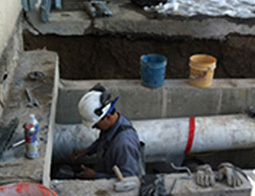 Water mains, sewer lines, storm drains, septic systems, and individual residential lines, including deep trench main line tie ins. in action at Village Center Station, a 50-acre area located in the southeast I-25 Corridor in close proximity to the Arapahoe light rail station. 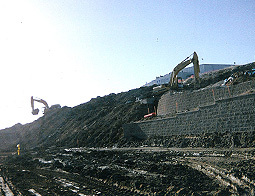 Diamond Excavating is the site preparation, excavation and utilities contractor for the office and retail complex. Considering all the contractors and sub-contractors that I have dealt with, you guys are absolutely the best. You personally were extremely attentive and I really appreciated the computer diagrams and take-off that you did. I also commend you for your attitude when the schedule changed at the last minute. Diamond Excavating's project managers were service-oriented and was totally on-board to do whatever I was trying to do out there. Rarely do I have time to forward correspondence relatlng to subcontractor performance; however, in this case, I am happy to make time. I wanted to make you aware of the Diamond Excavating staff's exceptional project performance at our site. Throughout the site work, they have demonstrated model professionalism and successful commitment toward project goals and schedule. By the way, the foundation trade contractor stated that this is one of the best excavations he has seen in a while. Congratulations!! I also appreciate the professionalism of everyone I have dealt with at Diamond Excavating, Inc.